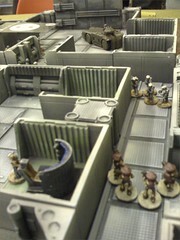 I have uploaded a couple of photos of a Savage Worlds game with 15mm GZG figures. 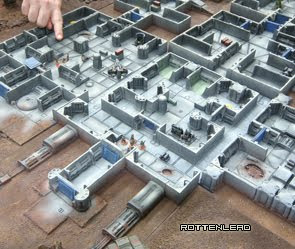 In retrospect I don't think Savage Worlds works with 15mm, squad games or tight corridor fights. Savage for me is about the freedom of playing a game with an adventure spirit where the game is more roleplaying than it is wargaming. I can't get a move scale to work at 15mm with Savage and find just converting inches to cm's does not provide enough movement on the table. I still enjoyed the session but I don't think I will use savage for a sci-fi skirmish again. More of the photos are up on flickr.com. Click the photo above to view them. 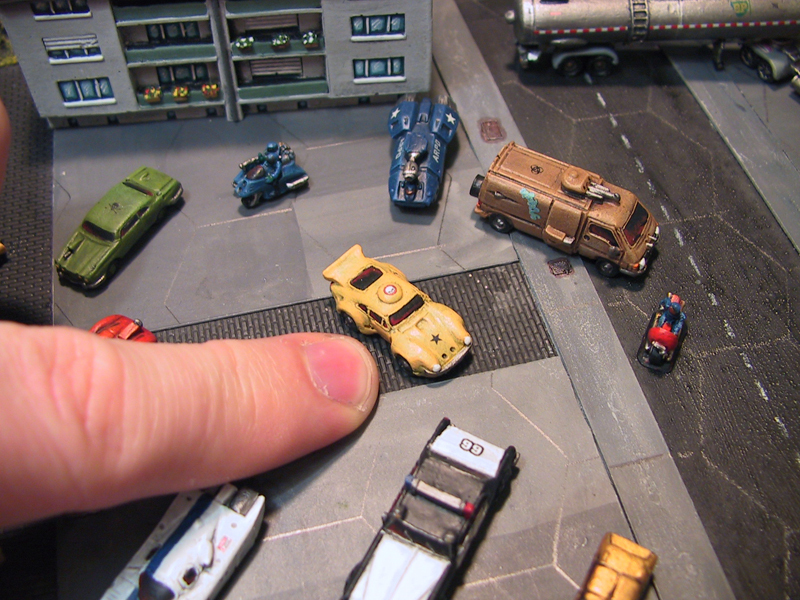 I use 15mm with Savage Worlds, but I used a different conversion of the ground scale, instead of inches to to centimeters I went from their 1 inch is two yards to 1 centimeter is one meter thus the movement increment 2cm per inch.